AQtime is the next generation of AutomatedQA's award-winning performance profiling and memory debugging toolset for Microsoft, Borland, Intel, Compaq and GNU compilers. This new version combines the benefits of our flagship product AQtime (geared towards profiling of Win32 applications) and AQtime for .NET (the first performance and memory allocation profiler for the Microsoft .NET platform). Like its predecessors, AQtime 4 helps you easily isolate and eliminate all performance issues and memory/resource leaks within your code by generating comprehensive and detailed reports for your .NET and Win32 applications. AQtime is designed with one key objective - to help you completely understand how your programs perform during execution. Using its integrated set of performance and debugging profilers, AQtime collects crucial performance and memory/resource allocation information at runtime and delivers it to you both in summarized and detailed forms, with all of the tools you need to begin the optimization process. From customized filters and graphical call hierarchies down to source code views. With AQtime's instrumentation in hand, you will know the exact cause of speed, memory usage, and application usability issues in your programs. As you optimize and improve your code, AQtime gives you all the tools to compare and merge results so that over time, an exact and accurate "picture" of your application's state takes shape. You will soon discover that AQtime is an invaluable PERFORMANCE WATCHDOG. You cannot download any crack or serial number for AQtime on this page. Every software that you are able to download on our site is legal. There is no crack, serial number, hack or activation key for AQtime present here. Our collection also doesn't contain any keygens, because keygen programs are being used in illegal ways which we do not support. All software that you can find here is freely downloadable and legal. AQtime installation package is prepared to be downloaded from our fast download servers. It is checked for possible viruses and is proven to be 100% clean and safe. 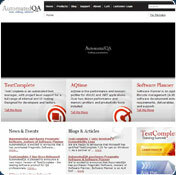 Various leading antiviruses have been used to test AQtime, if it contains any viruses. No infections have been found and downloading AQtime is completelly problem free because of that reason. Our experts on malware detection tested AQtime with various spyware and malware detection programs, including fyxm.net custom malware and spyware detection, and absolutelly no malware or spyware was found in AQtime. All software that you can find on our servers, including AQtime, is either freeware, shareware or open-source, some of the software packages are demo, trial or patch versions and if possible (public domain licence), we also host official full versions of software. Because we want to be one of the fastest download sites on the web, we host all the software including AQtime on our servers. You cannot find here any torrents or download links that would lead you to dangerous sites.